﻿ Adina Apartment Hotel Sydney Central, Australia | FROM $86 - SAVE ON AGODA! "In my penthouse 1 bedroom loft apartment from the bed in the..."
Have a question for Adina Apartment Hotel Sydney Central? "Adina Hotel is right next to the Sydney Central Station." "Highly recommended, just right the centre station, near shopping centre, some outlet of nike and Puma." 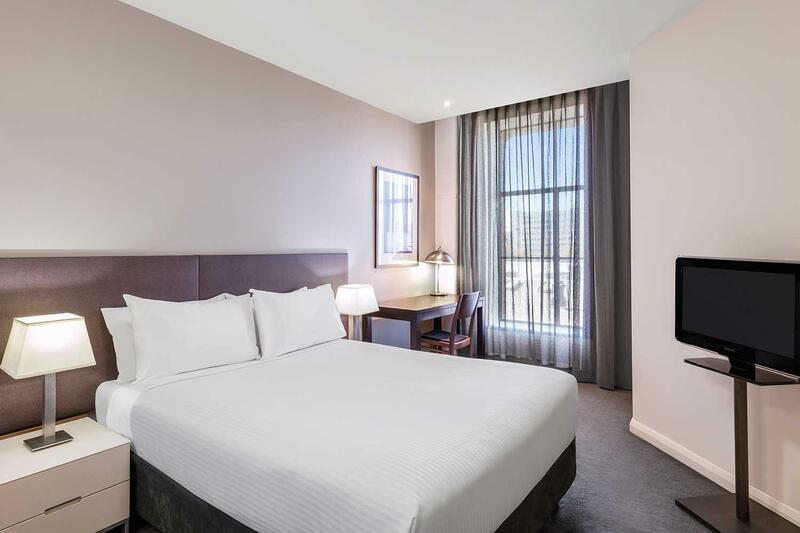 "Great location, suited need for brief visit"
The modern luxury apartments here at this heritage listed Adina Apartment Hotel Sydney Central are metropolitan and in the heart of the city. Get around the central business district on foot and dine at some of the hot local restaurants in the neighborhood. Right between the major bus and rail interchanges, you’re right on the pulse. 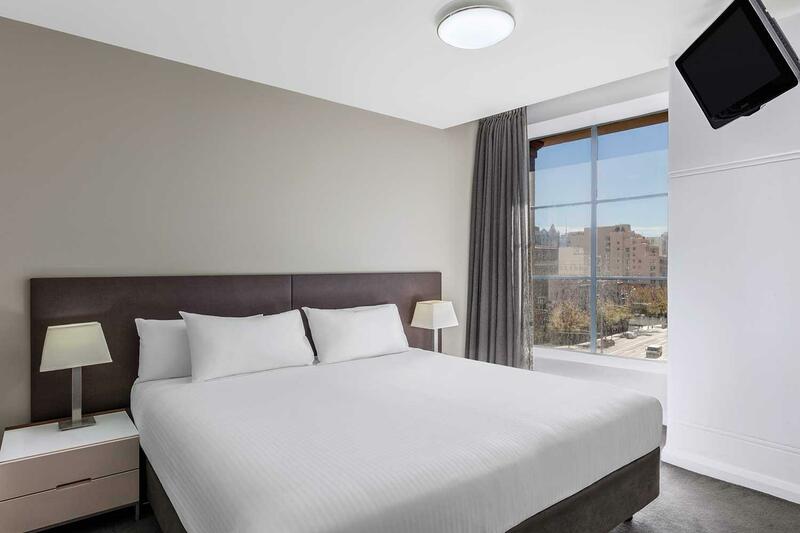 For business travelers or just leisurely vacationers looking to get around the city, the sophisticated location and quality of the hotel means you’ll be getting around in-style. Invite friends over for a home cooked meal and a bottle of some of Australia’s finest wines, or paddle around in the large outdoor swimming pool. 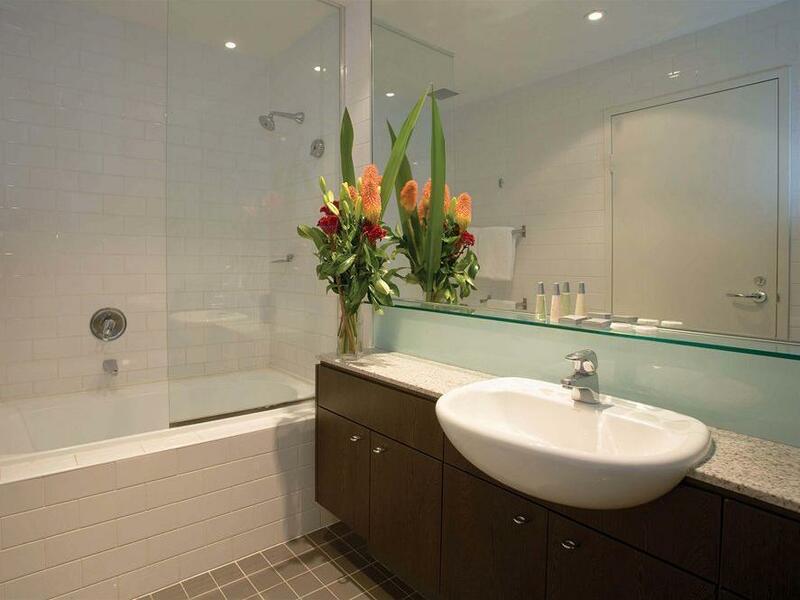 If you’re looking for a special and unique experience, look no further than Adina Apartment Hotel Sydney Central. Location was excellent. Very close to Central station. The room was clean and comfortable. Staff were friendly and helpful. There was an issue with a wrongly charged movie for our room during checkout but the staff were kind enough to resolve it for us. The TV was a little bit grainy, and had limited channels. Would've liked access to a laundromat (the studio apartments don't have one) but overall, our stay at Adina was great! I was traveling with my oldest son 19 and the second bed was not ready and there were no bedding to make it up. I had to contact the front desk and get them to bring me some sheets and pillows ect ... and my son and I made the bed. We had flew in late from Queensland after a long day at work and it was past midnight. Shared a 2 bed unit with a friend: spacious with 2 bathrooms. Well equipped and good position right next to Central station- so easy access to transport and walking distance to Darling harbour/ Convention centre. Comfortable bed and happily quiet inside despite proximity to road and rail. The hotel location is superb, being just next to Central Station, accessible to Trains, Light Rail, Buses, etc. Rooms were nice and comfortable enough, staff were helpful. But an incident made me felt that they could do better: The Fire Alarm went off 1 night at about 9+pm. Shortly after the alarm went off, there was an announcement made to inform all that the alarm was being investigated and not to panic. We waited for nearly 30 min for the 2nd announcement, but none was made. Eventually, I ran out of patience (as I wanted to shower but dare not) , I called the Receptionist the check the status and was informed that it was a false alarm. Though she claimed that an announcement was made, I was 100% sure that no 2nd announcement was made before I made my call. But there did make the 2nd announcement after I checked with them. The one room apartment is very big, comfortable, clean and most important it is not expensive for family stay. 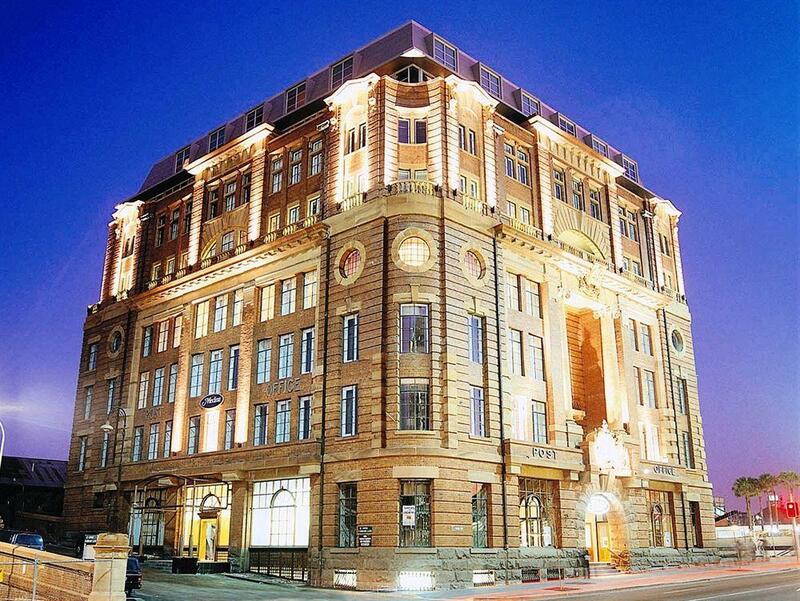 The location is in the heart of Sydney city, just to next to train station and bus terminal. Location of the hotel is near the entrance of the train station, but it's a few mins walk within the station to the train platforms. But there are many bus stops located within 1 min walk. Also within walkable distance to chinatown. Hotel is generally clean, and service staff are approachable. Booked 2 bedroom apartment for a total of 4 person. Apartment is very spacious and clean. Condition and maintainence of the hotel is good. Location is right at Central station, walking distance to Chinatown and CBD area. Will strongly recommend friends who is travelling to Sydney. I've stayed at this hotel several times, and it doesn't disappoint. I like the large rooms and the furnishings and fittings are decent. A bit of wear is showing, so a reno is due soon I think. Overall, it's good value and I would stay again. I booked a loft room and have had a very enjoyable stay at the hotel. It is vey quiet although it's located next to the Central train station. Free bus 555 is available opposite the hotel and it makes going to Circular Quay very easy! Love the superb location, bus-stop n train station r just at your doorstep. Walk about 5-10 min to the popular Hays Market. There is direct bus to the Sydney Fish Market which takes about 10-15 min. It also take you 30 min to the International Airport. Love the size of the 2-bedroom apartment, clean and well equipped. The only thing which is chargeable is the Wi-Fi service, there is no free Wi-Fi. Really enjoyed my stay here, check in was fast, I upgraded to the large family room, very large room with all the amenities of the comfort our own home. Great kitchen , with dishwasher , fridge, washing machine, drier, double bedroom up stairs and a nice large living area downstairs with a balcony. The swimming pool and gym was clean and tidy and décor of hotel was modern. would recommend these apartments for any type of traveller. We chosed the hotel for its location i.e. next to Grand Central to have easy excess to go around and within Sydeny via trains (even from and to Airport)and busses. Room was ok. Quite small for the price but basic facilties such as microwave, sink and utensils were provided. Staff were friendly and helpful. we have booked the one bed room suite, this hotel is located in a great location next to the Central station, easy access to everything. Room is reasonable sized, however single bed is a bit small. Staff are friendly and helpful. Clean and tidy with laundry facilities in the room. Will definitely stay here again. we arrived from asia early and had requested an early check in. lucky for us, we were abl to check in early - way before noon. the room itself is pretty good and modern and well maintained. there is only one bathroom and it is upstairs, so not great for the elderly or incontinent ! there is a pull-out bed couch in the living room and tv's with cable in two locations. great for travel on trains via central station and for eating out in chinatown. the hotel is pretty kool. the exterior is lovely - it's the old post office. the interiors are modern and well kept and have not deteriorated too much. we had a two bed two bath room which was fine for us - couple with two kids. next door is central station so perfect for onward travel. lots of shops and pubs near by for those that get hungry and thirsty ! all facilities are in the apartment. We don't need to bring anything, save the cost of laundry and meal. we had a wonderful stay at medina executive. they clean and make up the room everyday in the afternoon. they provided us all the facilities which we needed like washing machine, dish washer, dryer machine (included detergent)... very comfortable! Next to Central Station Clean apartment Apartment is kept warm Friendly staff Could have provided washing powder at minimal cost, but have to buy at very expensive price at nearby convenience store.. This hotel is well located near the central station and very convinient with many bus stops nearby. A Europcar is located just opposite at mecure Sydney if you want to get a car to the blue mountains. The two bedroom apartment is very comfortable for 4 adults. Kitchen is fully equipped for a cook out which is a great way to spend time together and enjoy the tasty Australian produce.